SimCity is an open world city building game which gives the player complete control of everything in the city. This game is originally developed by Will Wright. The game starts from an undeveloped piece of land. The player can build infrastructure projects like roads, residential buildings, office buildings, power plants, landmarks, schools, hospitals, parks, fire stations, police, airport, railway station and all the other things that you can think of. The player can also set the taxes for the people, the budget for the city, social policy, health insurance etc. This city created by the player is inhabited by “Sims”. The player also provides the sims with residential zones to live in, commercial zones for shopping and various offices, industrial zones to work in factories and laboratories. The SimCity also provide with the places to mine ores and oil, forest to cut trees for furniture and many other natural resources. 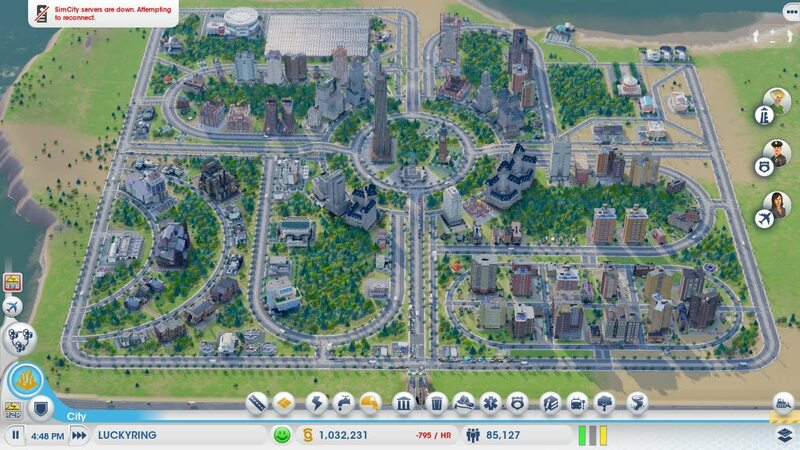 There is no particular condition to win in SimCity but a stability is created in the game. To control the population game provides many natural disasters like earthquake, tornado, volcanoes if you’re near mountains, tsunamis if your city is located near the sea. All these disasters can also be created by the player.